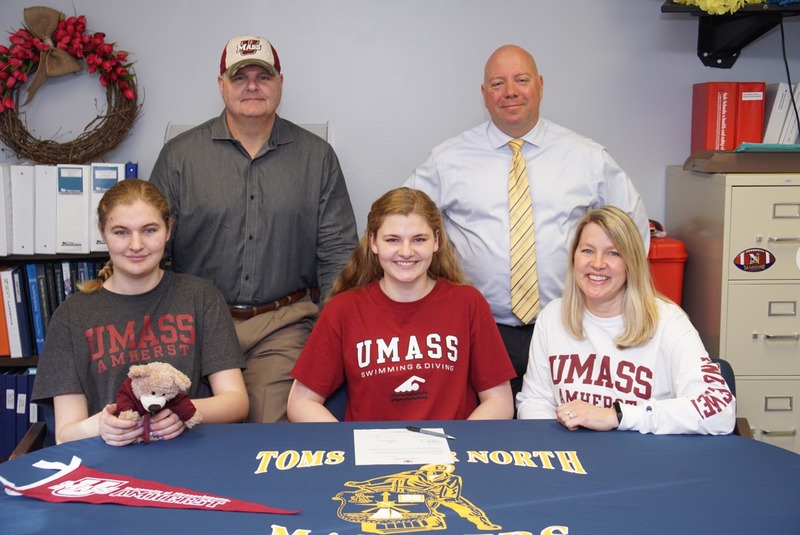 April 16, 2019: Congratulations to Toms River North 's Kirsten Ardis who signed a letter of intent to attend the University of Massachusetts Amherst in the fall. Kirsten led the swimming team to the Ocean County and A-South championships. She was the Ocean County champion in the 50 meter free style and anchored the record setting 200 meter medley relay team. Kirsten will continue her swimming career with the Minutewomen and received an academic scholarship to major in Environmental Engineering. Good luck Kirsten on your exciting new journey. 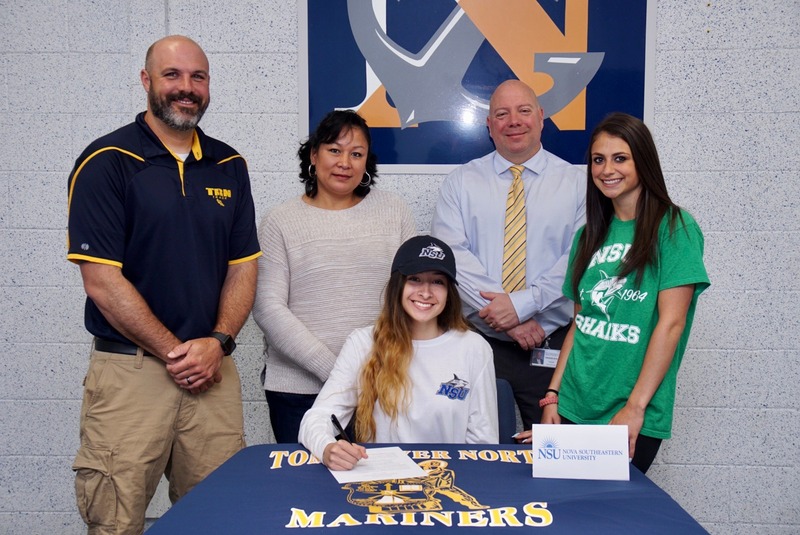 April 16, 2019: Congratulations to Michelle Greenstein who signed a letter of intent to attend Nova Southeastern University in the fall. Michelle received an academic scholarship and will run cross country and track for the Sharks. An outstanding 100 and 200 meter runner, Michelle is just a few tenths of a second from breaking the school 200 meter record. Good luck Michelle, we are all rooting for you. 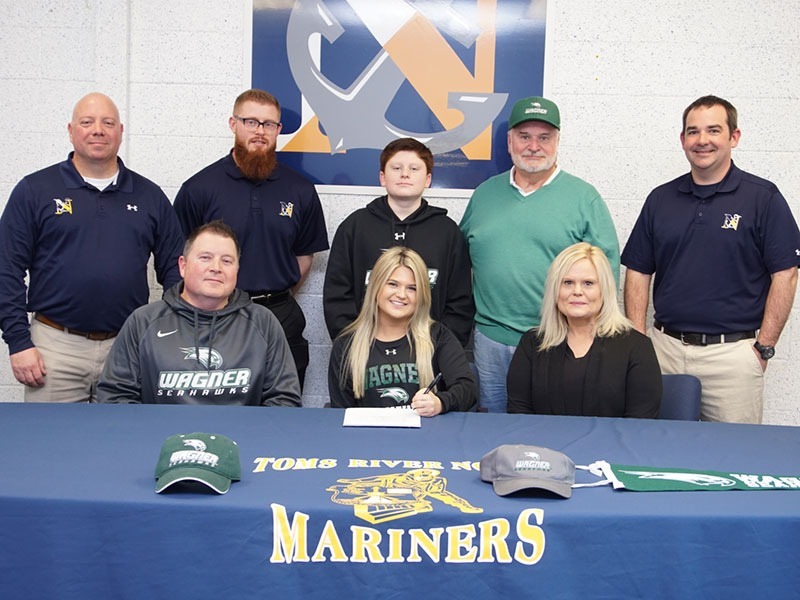 April 8, 2019: Congratulations to High School North's Madison Bennert who signed a letter of intent to enroll in Wagner College in the fall. Madison is interested in being part of the medical field and has her sights set on becoming a physician assistant. She received an academic scholarship and will play soccer at the NCAA Division 1 level for the Wagner Seahawks. 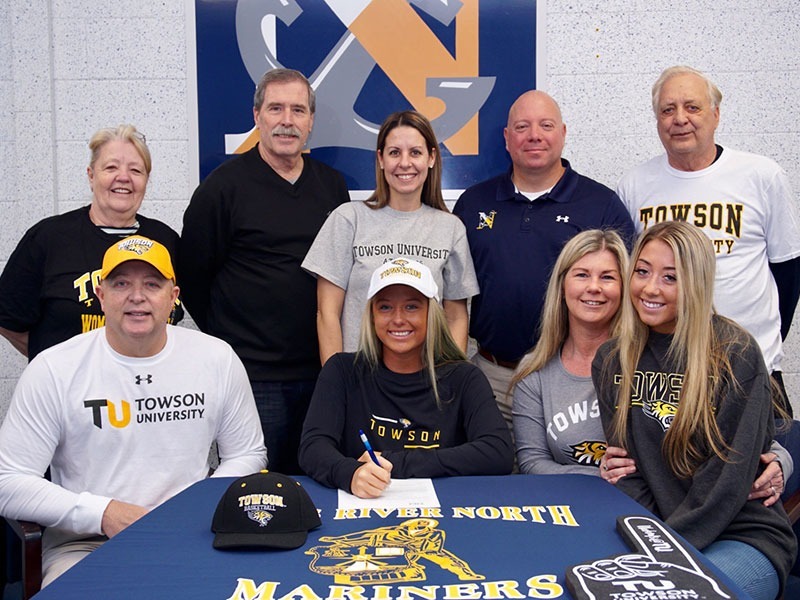 March 8, 2019: Congratulations to Brielle Biscogno for signing a letter of intent to attend Towson University in the fall. After having a outstanding basketball season where she surpassed the coveted 1,000 career points milestone, Brielle will receive a scholarship to play basketball for the Towson Tigers. Brielle plans on majoring in physical education. Good luck Brielle and thank you for all the great basketball memories! 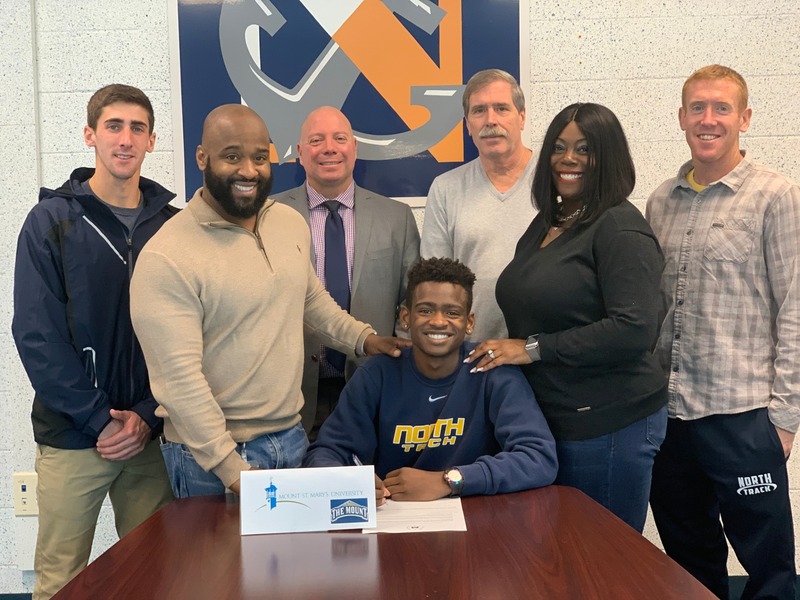 Dec. 13, 2018: High School North’s Elliott Lynn signed a letter of intent to attend Mount Saint Mary's University in Emmitsburg, Maryland. Elliott will receive a scholarship to run cross country and track for the Mountaineers, and plans to study sports medicine. Nov. 16, 2018: The coaches at Monmouth University will be thrilled to learn that last night, High School North’s Maggie Downs received the Most Valuable Player award at the Field Hockey Banquet. 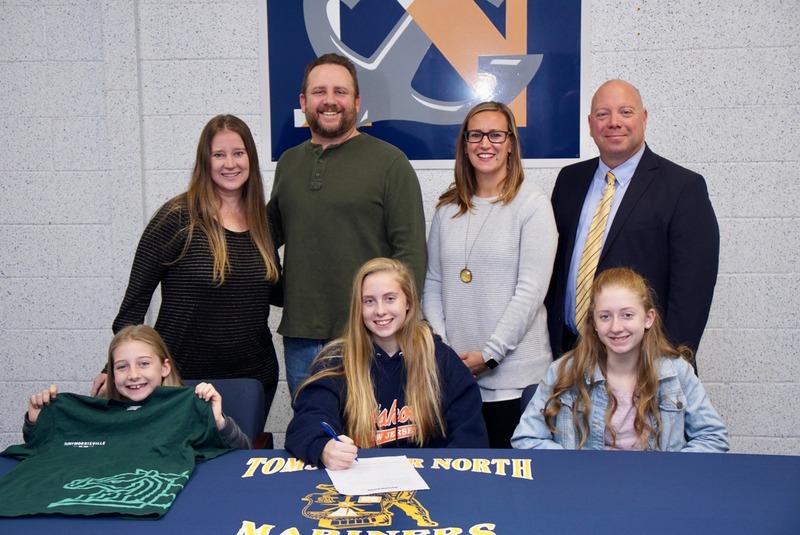 During her career at HSN, Maggie has scored 63 goals and notched 47 assists, and she will continue with her field hockey prowess next fall playing on a scholarship for the Monmouth Hawks. An outstanding student as well, Maggie looks forward to continuing her success as a student athlete at the collegiate level. Congratulations, Maggie! 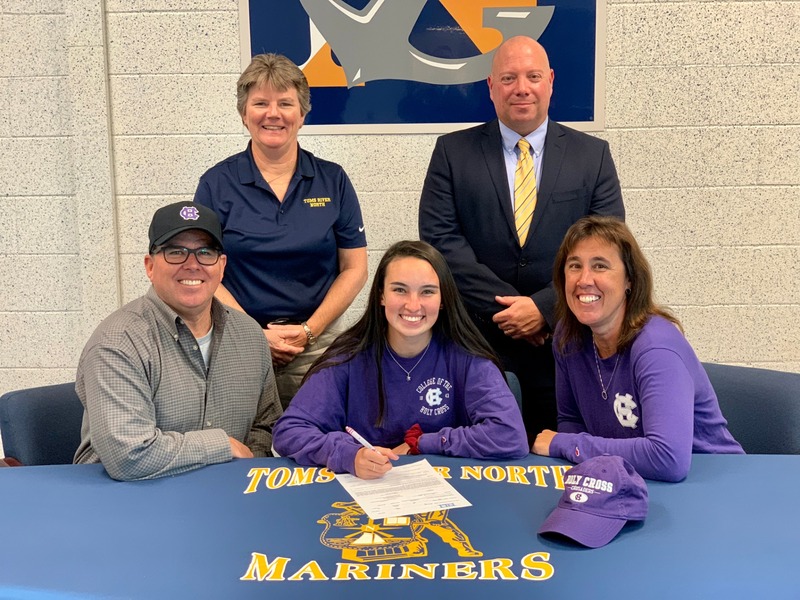 Nov. 15, 2018: High School North's Kaci Neveling signed a letter of intent to attend the College of the Holy Cross after graduation. Kaci, who is an excellent softball player, will receive a scholarship to take the field with the Crusaders. Kaci plans to continue her studies with a major in psychology and aspires to be a sports psychologist. 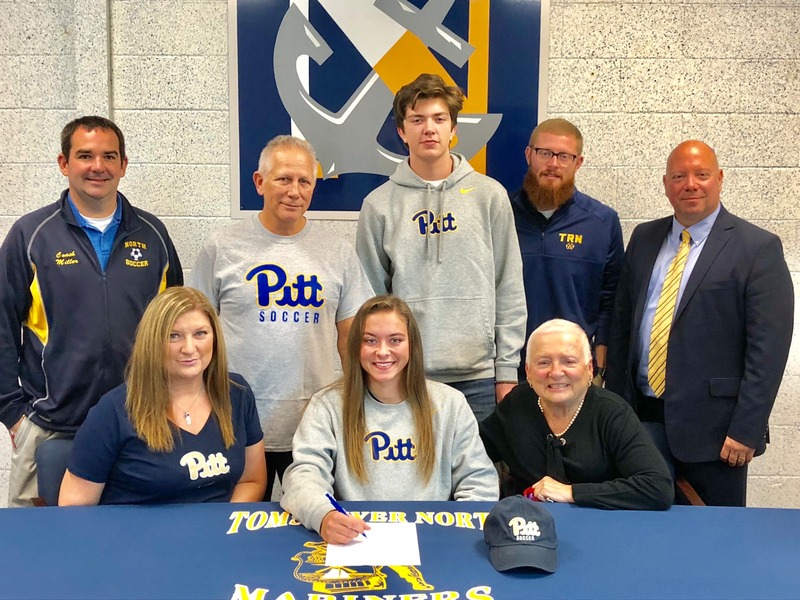 Nov. 14, 2018: After being named Player of the Week and leading the girls soccer team to a Shore Conference title for the first time since 2012, High School North's Marisa Tava signed a letter of intent to attend Pittsburgh University next fall. "Roc the Panther," Pittsburgh's mascot, will be cheering on Marissa on the soccer field, along with the country's top scholarship athletes. Marissa, who compiled an excellent grade point average over the past four years, plans to major in biology. Good luck, Marisa! 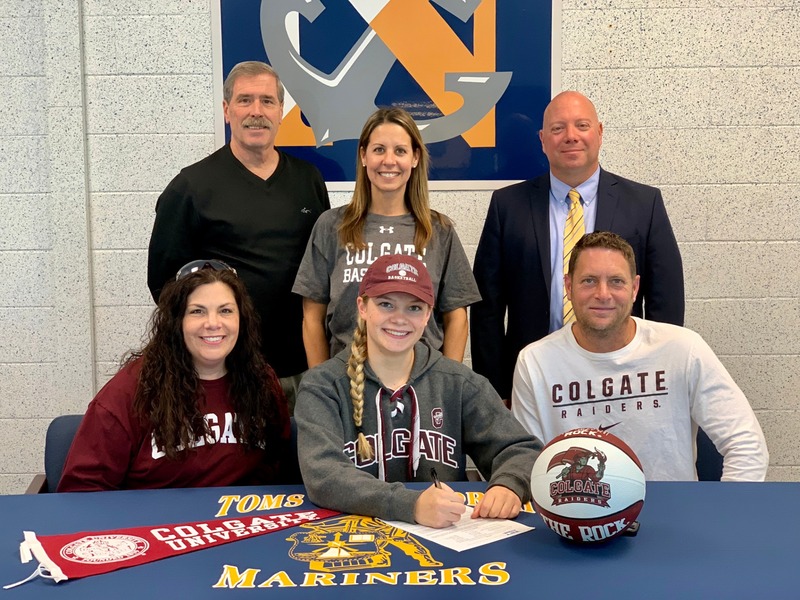 Nov. 14, 2018: High School North senior Jenna Paul received a full scholarship to play basketball for Colgate University. Last season, Jenna scored her 1,000th career point and plans to continue adding on when basketball season begins in a few short weeks. Jenna will be a biology major and plans on pursuing a career as a medical examiner. Good luck Jenna and thank you for all the exciting moments on the basketball court. Nov. 14, 2018: High School North's MacKenzie Braun will be attending SUNY Morrisville State University of New York. MacKenzie signed a letter of intent and will receive a scholarship to play softball for the Mustangs. She plans to major in criminal justice with an emphasis on forensic science. Thank you, MacKenzie, for an outstanding four years at Toms River North and all your contributions. All the best as you embark on a new journey. 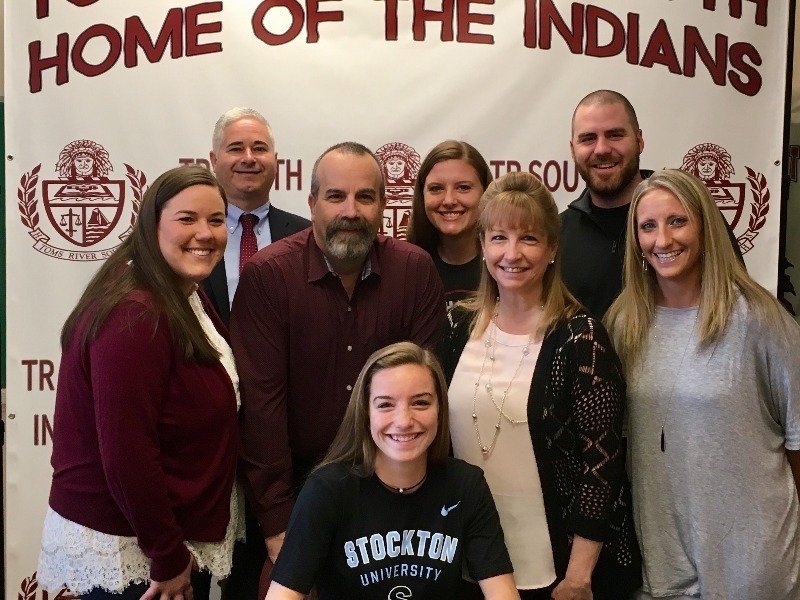 May 1, 2018: High School South's Emily Donzanti signs to attend Stockton University. Emily is the recipient of a generous academic merit scholarship and plans to continue her basketball career at Stockton. 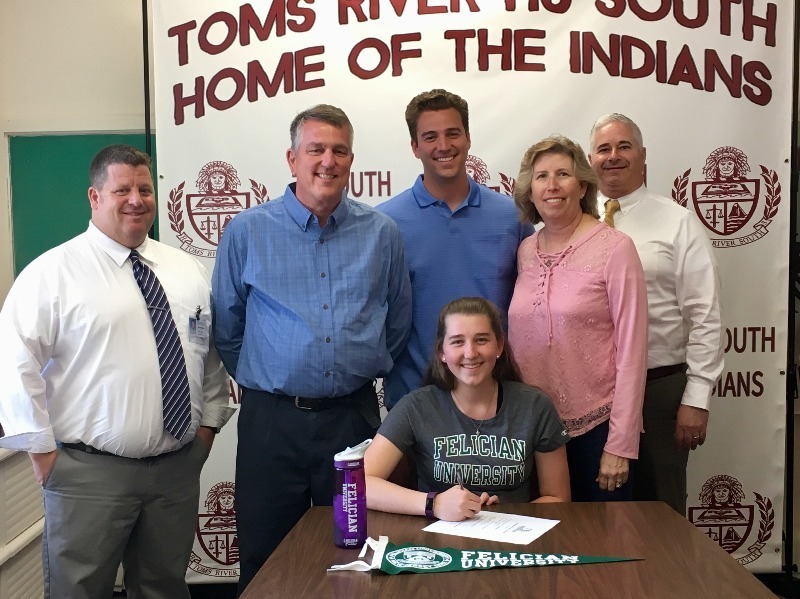 May 3, 2018: High School South's Natalie Swindell signs to attend Felician University. Natalie, the recipient of a generous academic merit scholarship, will major in Early Childhood Education and continue her bowling career. 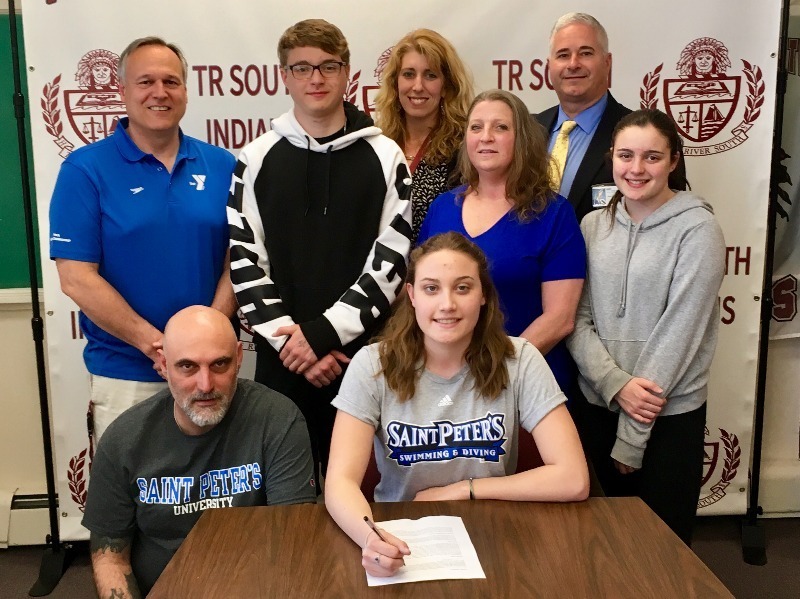 April 23, 2018: High School South celebrates Evangelia Vasilakis as she signs her letter of intent to attend Saint Peter's University. Evangelia is the recipient of a generous academic and athletic scholarship and will continue her swimming career as she studies forensics. 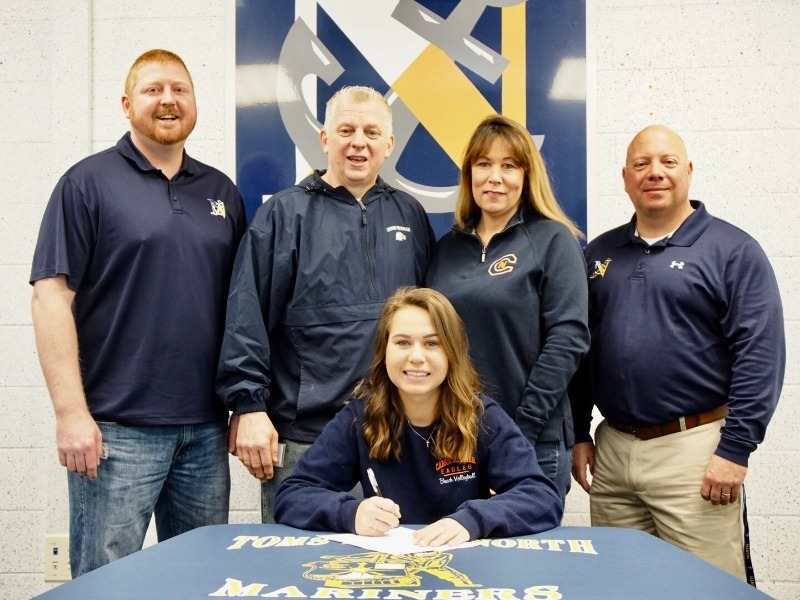 April 20, 2018: High School North's Morgan Siwiec signed a letter of intent to attend Carson-Newman University in the fall. The volleyball coaches in Tennessee took notice after Morgan set the school dig record (639) and she will receive a scholarship to play for the Eagles. Also impressive is her outstanding academic record over the last four years at HSN. 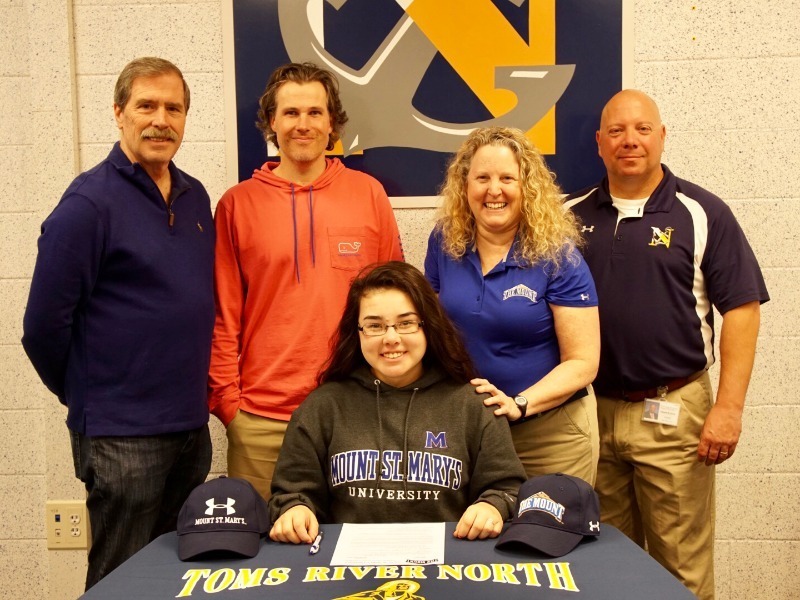 April 13, 2018: High School North's Michaila Cheung signed a letter of intent to attend Mount Saint Mary's University in Emmitsburg, Maryland. Michaila, who is the captain of the Mariner Golf team and reigning Ocean County champion, will receive a scholarship to showcase her golf talents for the Mountaineers. She aspires to be a physical therapist and plans on majoring in health sciences. 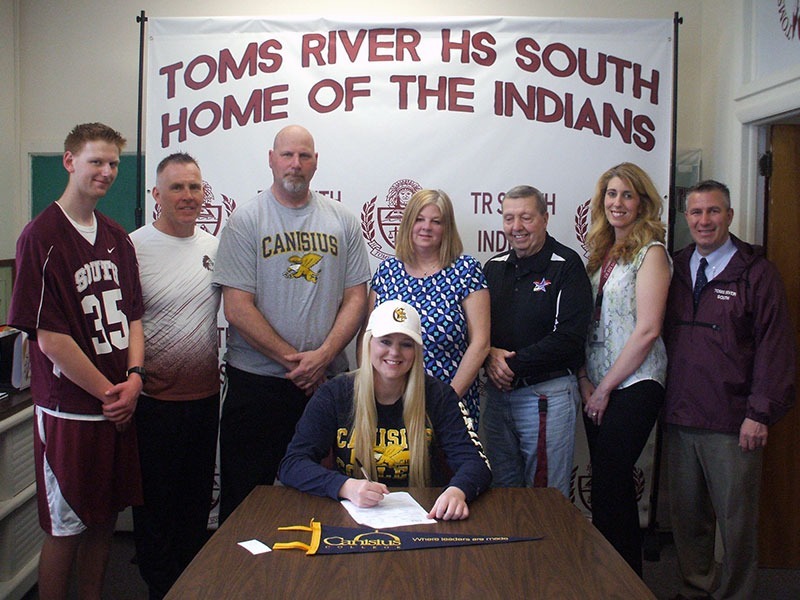 April 13, 2018: High School South's Hayley Tamaro signed her letter of intent to play softball at Canisius University in Buffalo, New York. 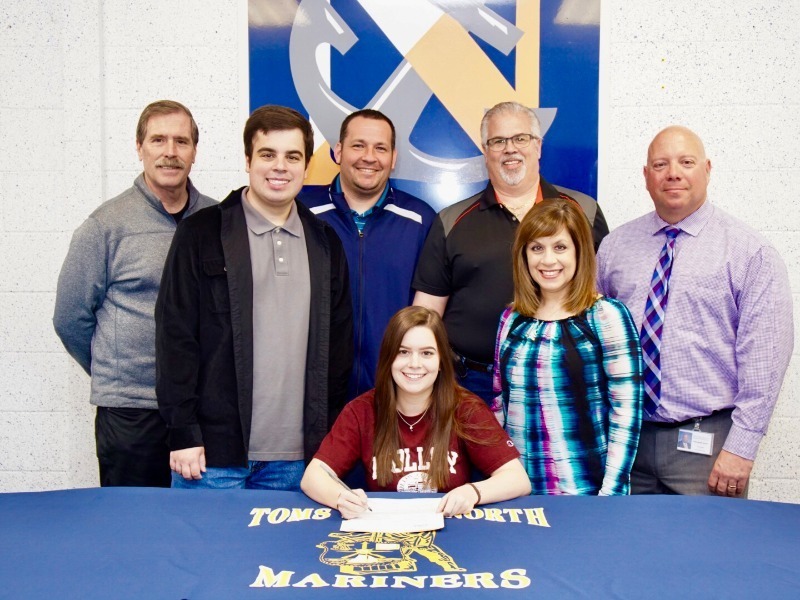 Hayley received both an athletic and academic scholarship to attend the Division 1 school, and was signed by the university to improve their pitching staff. Academically, she will study biochemistry and health and wellness and minor in business. 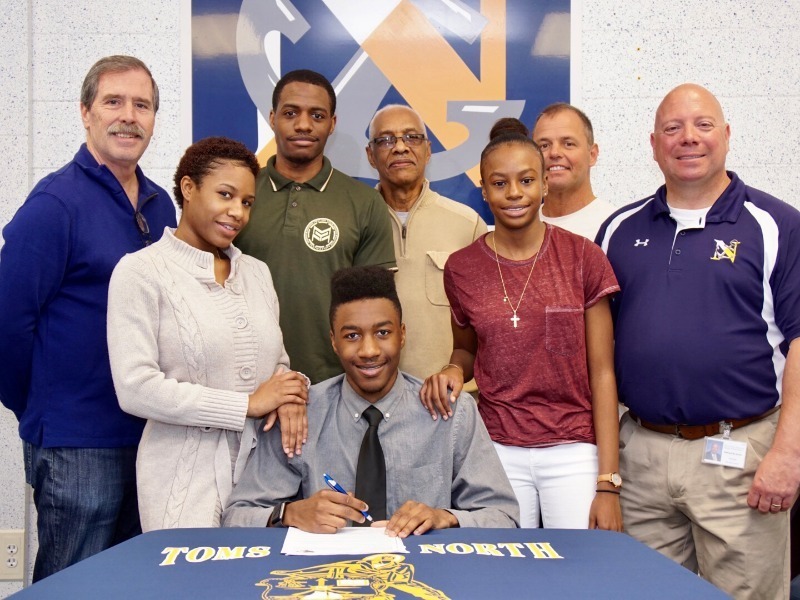 April 13, 2018: High School North's Emeron Mayers signed a letter of intent and will be attending Georgian Court University on an academic scholarship. Emeron was the leadoff leg on the shuttle hurdle relay team that captured sixth place at this year's Nike Indoor National Championships in NYC. Emeron plans on continuing his track career with the Lions and will major in criminal justice. April 12, 2018: Cassidy Syrdale, captain of High School North's girls bowling team, helped propel the Mariners to claim top prize as the number one bowling team in New Jersey, winning the Tournament of Champions. 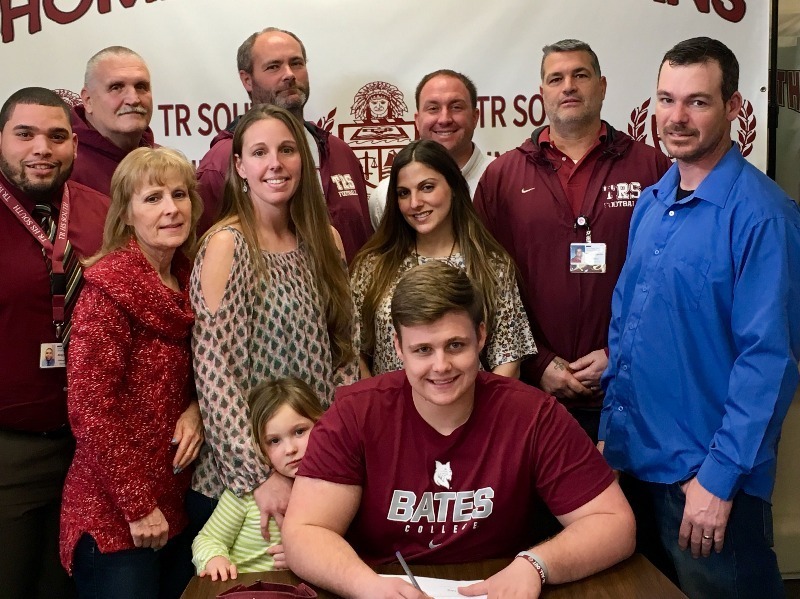 Cassidy signed a letter of intent to attend Malloy College, and will receive a scholarship to bowl for the Malloy Lions while majoring in biology and pursuing a career as a physical therapist. 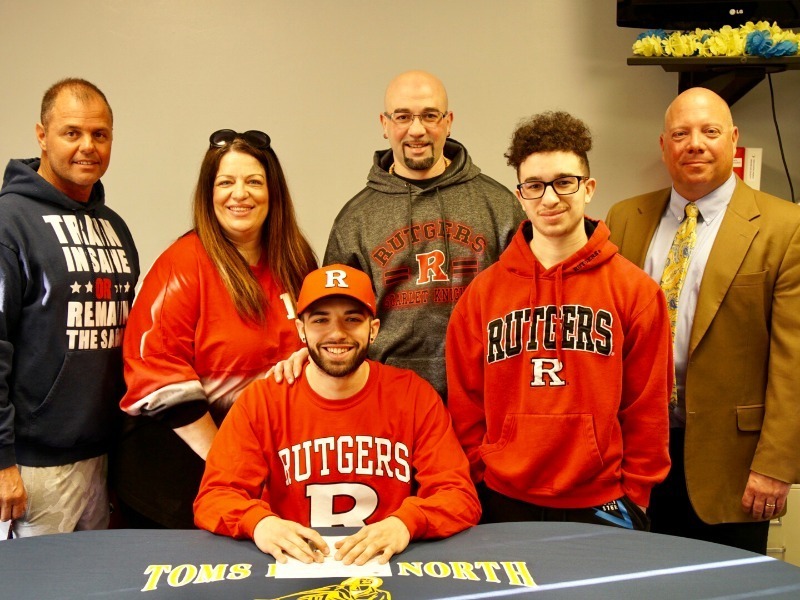 April 11, 2018: High School North's Andrew Daniluk signed a letter of intent to attend Rutgers University in the fall. Andrew received a scholarship to run track for the Scarlet Knights and he plans to major in exercise science and nutrition. Feb. 9, 2018: High School East's Sean Kelly has committed to attend Shenandoah University in Winchester, VA, where he will continue his soccer career. 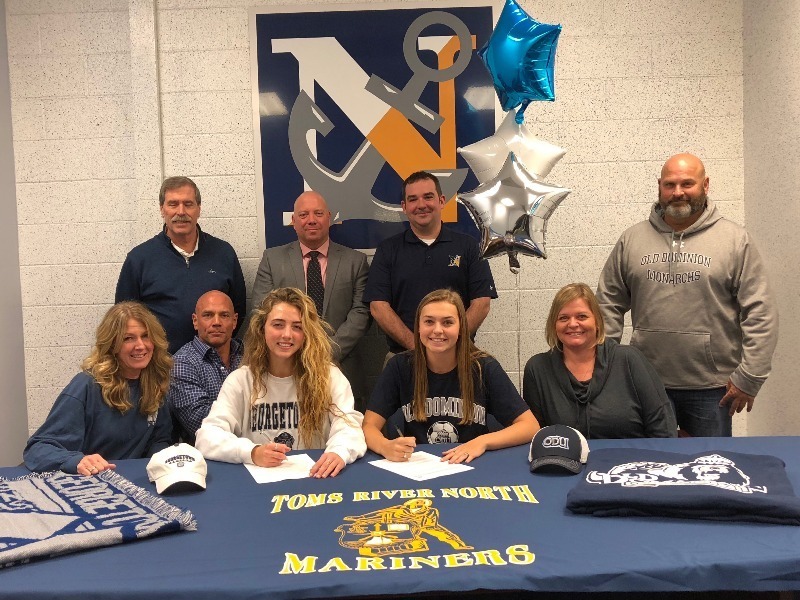 Feb. 8, 2018: High School North's Riley Kennett and Jenna Royson have signed letters of intent to attend Old Dominion University and Georgetown University, respectively, where they will continue their education and play Division I soccer. Feb. 9, 2018: High School East's Riley Boag signed her letter of intent for Ithaca College, where she will be playing soccer this fall. Feb. 9, 2018: High School East's Christian Zamora has committed to attend Moravian College, where he will continue his soccer career. 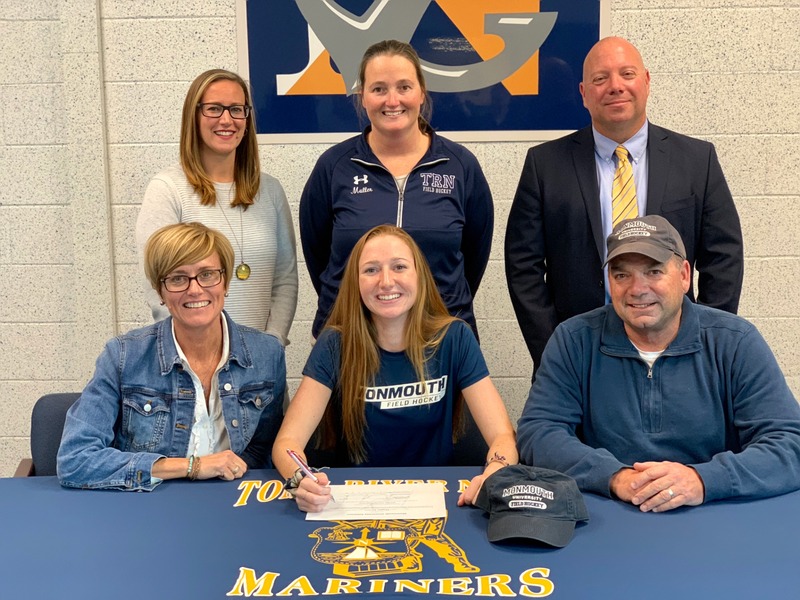 Feb. 9, 2018: High School East's Jill Conklin signed her letter of intent for Monmouth University, where she will be playing soccer this fall. 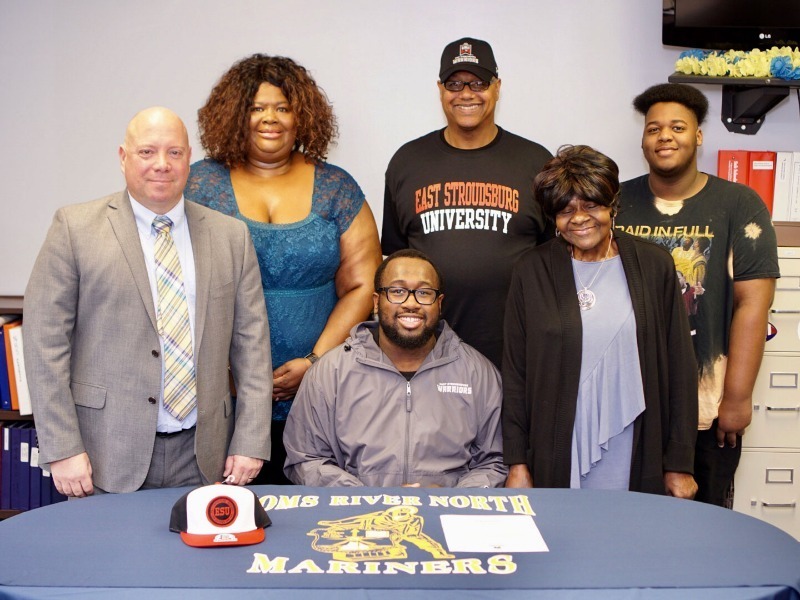 Feb. 26, 2018: High School North's Daryn Blackwell signed a letter of intent to attend East Stroudsburg University in the fall where he will receive a track and football scholarship. Daryn plans on majoring in Sports Management. 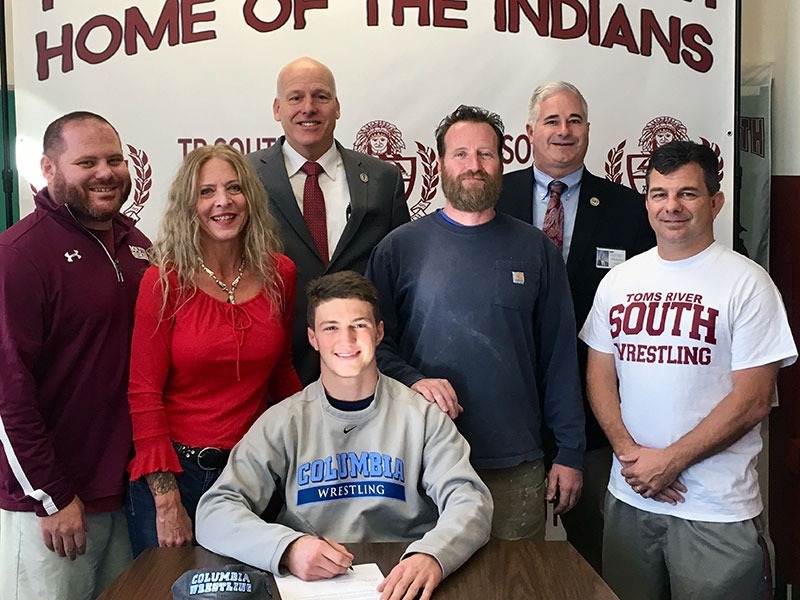 Nov. 30, 2017: High School South's Cole Corrigan signs to attend Columbia University where he will continue his academic and wrestling career. 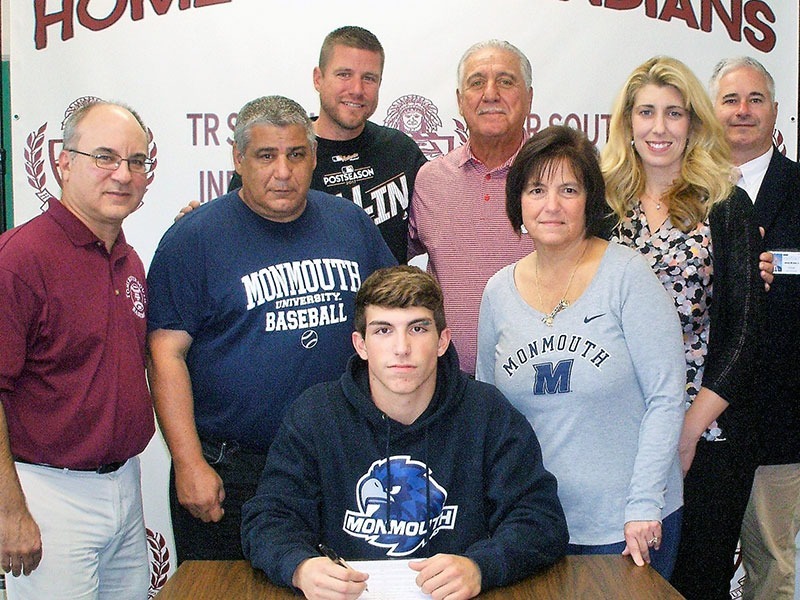 Nov. 22, 2017: High School South's TJ Scuderi signed with Monmouth University to continue his baseball career. 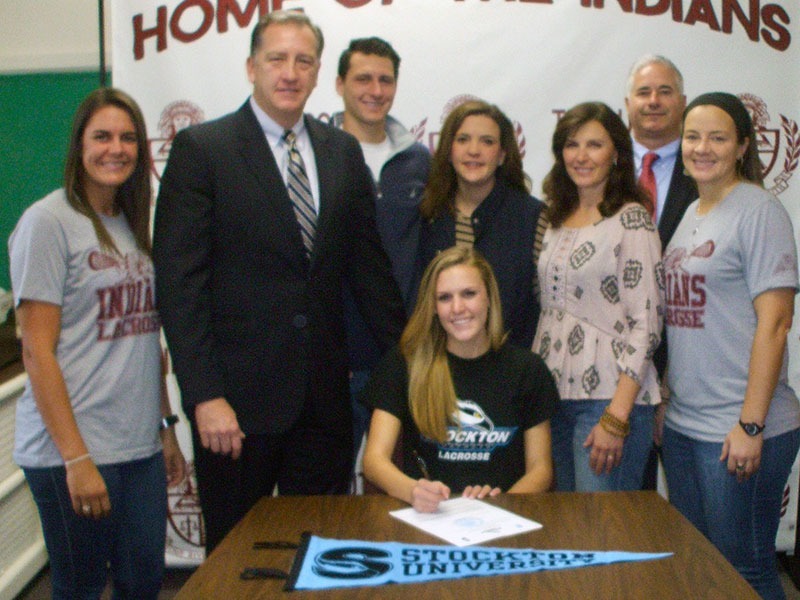 Nov. 22, 2017: High School South's Jennifer Toal signed her letter of intent to continue her lacrosse career at Stockton University where she will study Business.